Cafe ‘t Mandje’, The Basket, a lesbian/gay brown, nicotine-stained cafe in Amsterdam. 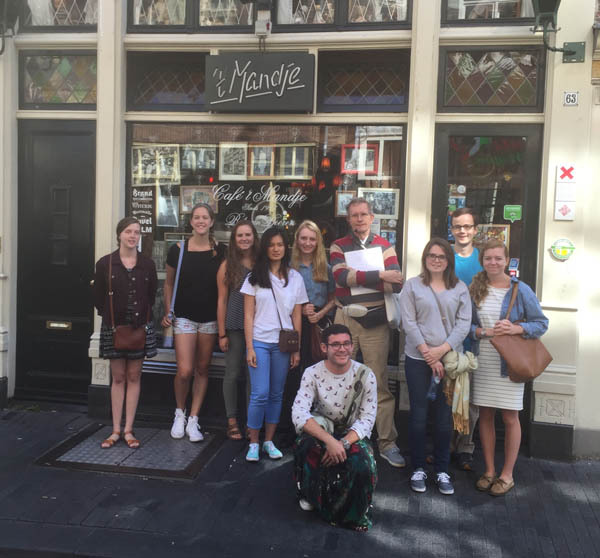 In this tour through Amsterdam you discover the theme of alcohol in Amsterdam from c 1400 onwards to the present day. We get from A to B in Amsterdam on foot, or by tram or taxi, whichever you like. 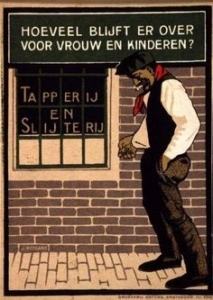 Compared to other countries and cultures, Dutch alcohol intake was enormous from the end of the Middle Ages onwards, tapering off after the 1960s – and I will explain why this was the case. in 1662 there were 5000 ‘watering holes’ for beer and wine, many of them on street corners. Way too many, and many innkeepers went bust. In 2018, with four times the inhabitants, the number is about 5350 ‘watering holes’ for people. With more cash to spend, most cafes, pubs and restaurants are doing OK.
Open air intake: drinking bottles of beer, wine or spirits outside is forbidden in many cultures, especially in the USA, but drinking and boozing can be done openly and without a brown paper bag cover in most streets of Amsterdam – but not all streets and squares. There are Forbidden Zones with a special traffic sign showing a bottle and a red bar through it (see below). Reasons for a clampdown are various, and I will show that during this tour. 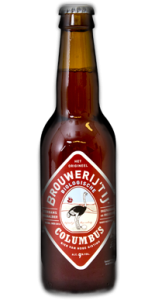 BEER BREWERIES: A little under 50 micro breweries are active in Amsterdam. A nice micro brewery, right in the old center, in a former nunnery, is still in working order: De Bekeerde Suster , Kloveniersburgwal 6, you can walk to the back an see the brass stills and machinery. At the bar or table you can taste their product. In the harbor distruct is Brouwerij Het IJ, Funenkade 7, with guided tour each Friday, Saturday, Sunday at 15.30 (this eaquals 3.30 PM). Please arrive on time, for group caps off at 20 persons. Cost is E 6 with one free drink. And of course there is the XXL Heineken Experience, Stadhouderskade 78, which is just a storefront, because the actual brewing takes place in Zoeterwoude in a humongous factory, using a very, very secret yeast strain. One cannot visit this factory. Heineken has become world player, producing over 200 million hectoliter (200 Million x 100 liter, or 20 million square meters, which is over 40 million bathtubs full). I will tell you where they get the fresh water for their brewing process and what marketing tricks they have used over the years. The 1983 abduction of Freddy Heineken and payment of ransom money was quite a story. Caveat: If you want to see the Real Thing in XXL breweries, go to Dublin for the Guinness brewery. In my expert opinion a visit there is 10 times better than entering the Heineken Experience. 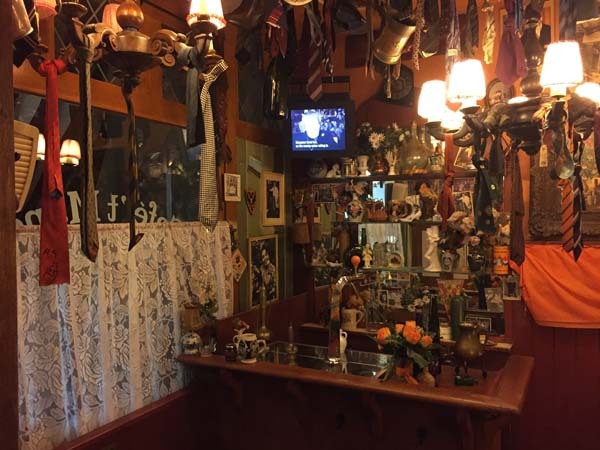 The famous Brown Café has been an Amsterdam institution, with dark brown nicotine stained walls and many, many ornaments on the wall, making it cosy, “gezellig”. Famous ones are in the Red Light District and formerly many were in Nes (street) with their heyday in the 1920’s-1940’s, for sailors, gays and other wild people. Nes is now a barren place. 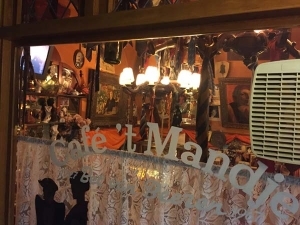 Café Het Mandje, Zeedijk 63,, made famous by lesbian Motor Dyke Bet van Beeren. Café Nol, Noordermarkt, with Amsterdam operatic singing in Jordaan district. De Sluyswacht, Jodenbreestraat 1, a miniature old brewery. Dozens of factories have made Dutch gin a world-wide hit. The impetus was financial: Turning grain into alcohol made more money than turning grain to bread. The city of Schiedam has many of these gin factories and the huge windmills still rise high over the city houses. The secret ingredient was juniper berry, in dutch: jeneverbes, hence gin. From the nineteenth century, spirits were often offered to the workmen when they got their weekly pay, either Saturday at noon or on Friday at 5 PM. Payment was in cash, in a small paper envelope. These were often handed out within a café owned by the big boss, so that workmen would spend it there and get stone drunk, bringing home too little for the wife and the kids – families thus unable to pay the weekly food and rent. Daughters would then walk to the pub to fetch their father, and she would say: “Oh sweet papa, please do not drink anymore”. A popular song was composed with that sad line. The movement of teetotalism / abstinence / temperance tried to end this terrible situation, which broke many families apart financially and health-wise. 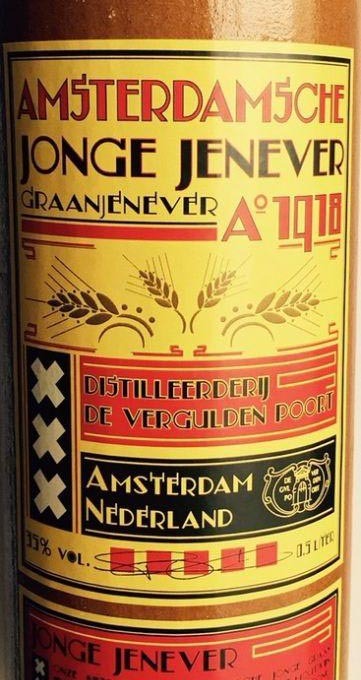 In Holland, spirits went largely out of fashion after the 1960’s (mostly seen being imbibed by sad, ill-dressed old men hanging around for many lonely hours in a café bar) and present firms try and hook new young clients by making spirits fashionable again. The daytime hard drinking seen in the series Mad Men were not normal here. Hard smoking in the workplace was however normal since the 1600s, but gradually ceased after the 1970 and 1980s. Alcohol intake has exploded among young people past the age of 13, making drunkenness almost fashionable and the hip thing to do. (Bad for the brain). Wynand Fockink tasting tavern and liquor store in the Pijlsteeg, a small alley behind the National Monument on the Dam square in Amsterdam. For groups up to 7 persons. Another interesting place offers a Bols Bartending experience. At Paulus Potterstraat 14 near the Van Gogh museum. A Cocktail Workshop costs a hefty € 37.50 for which you get several free cocktails.